The Governor of Edo State, Mr. Godwin Obaseki, has disclosed that contract for the construction of a General Hospital in Uhunmwode Local Government Area has been awarded to address the healthcare need of people in the local council. Obaseki disclosed this while speaking with members of the All Progressives Party (APC) at Ehor, the administrative headquarters of Uhunmwode Local Government Area, in continuation of his thank-you-visit to the state’s 18 Local Government Areas. He explained that his administration has completed the design of a General Hospital to be sited in the council and the contract for the construction of the hospital has been awarded by the state government. He added that statistics have shown that Uhunmwode Local Government Area ranks poorly in major indices of development, promising to change the narrative. “I am not happy with the level of progress recorded in Uhunmwode Local Government Area. An area with the largest land mass in the state should be assisted in developing basic infrastructure,” he said. 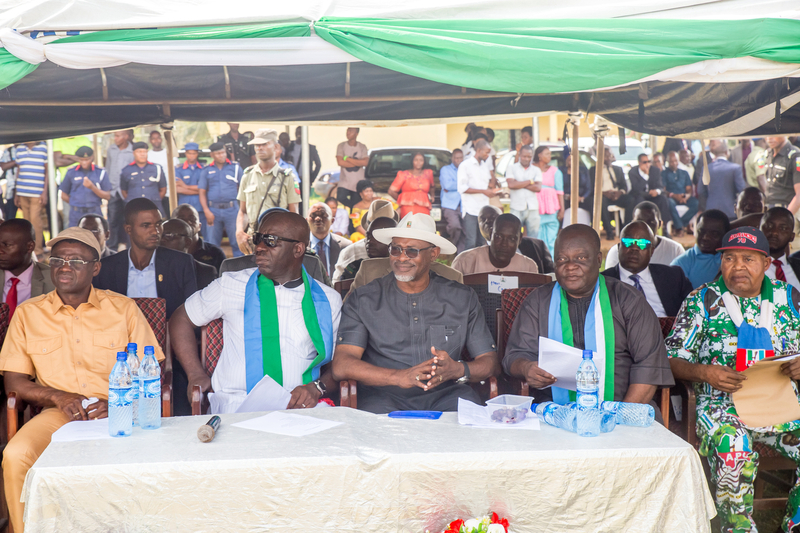 The governor also promised to provide communities within the council electricity as well as potable water, assuring the people that they would benefit from efforts to attract investors from Indonesia and Malaysia to develop oil palm plantations in the council. The Special Adviser to the Governor on Basic Education and Sole Administrator of the State Universal Basic Education Board (SUBEB), Dr. Joan Osa Oviawe and the Commissioner for Health, Hon. Dr. David Osifo, who both hail from the local government, were on ground to receive the governor. The State APC Chairman, Barr. Anslem Ojezua, commended the members of the party for their support and vote during the last gubernatorial election and promised that the local government would reap the full dividends of democracy as the governor is determined in ensuring that all parts of the state are developed. The APC Chairman in Uhunmwode Local Government Area, Hon. Harrison Oyegue, praised the governor for the developmental strides in roads and other infrastructural development in the state. He assured the governor of the people’s continued support.